Lost in yesterday’s exciting Blackhawks comeback win (at least here in Chicago) was the premiere of CBS’s Under the Dome adaptation, which debuted to solid ratings despite stiff competition from the Stanley Cup finals. The pilot, which received glowing reviews from most media outlets, may have spawned a bona fide hit for CBS’s summer schedule. For those unfamiliar with Under the Dome, it is a 13-part mini-series adapting Stephen King’s oversized tome of the same name, brought to television by Brian K. Vaughan (of Lost and Y: The Last Man fame). The story follows the struggles of a small town in Maine (of course) after they are sealed off from the world by a mysterious clear dome. It has been awhile since I read King’s book, but it seemed like most of his story was intact when I watched the pilot. Overall, I found it to be a solid hour of television. It was nice to see Dean Norris getting some work fresh off his run on Breaking Bad and I will always endorse putting Jeff Fahey in anything that requires a grizzled veteran character who has “seen too much” in his time on the force/as a pilot/as president/etc. 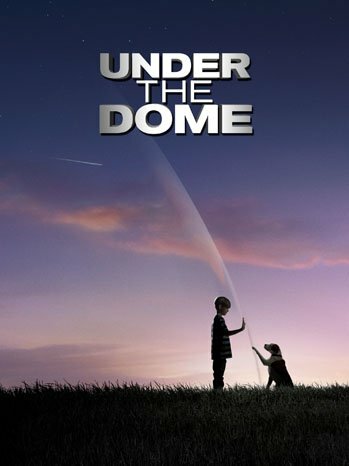 With a high concept premise like this, Under the Dome was certainly hit or miss territory (as all of King’s stories seem to be when making the jump to screen), but it seems like they did a good job with the pilot and have roped in enough viewers to keep them around for the other twelve episodes of the story’s arch. With more than a few comparisons to Lost (developer Vaughan and pilot director Jack Bender both come from Lost backgrounds) already being made, the true test for Vaughan, King and company will be to keep up the momentum of the pilot without getting bogged down in too many conspiratorial elements. Sure, the mystery of the dome will keep people watching, but if they neglect the characters in favor of lofting a load of dead end mysteries and cheap thrills at the audience (a pitfall that certainly befell Lost at points), you may have the recipe for a ratings dip and a quality decline. Be sure to check out IGN’s review of the pilot and catch the entire episode streaming on CBS.com. This is the second trailer for Neill Blomkamp’s sci-fi epic Elysium. The first trailer for the film was perfectly fine, but the second trailer that debuted this week is definitely ‘next level, go see this opening day’ material. Along with revealing more about the story itself, the trailer sheds some light on Matt Damon’s character Max and his motivation to get outfitted in the world’s most uncomfortable looking super suit so that he can raid Jodie Foster’s off world summer home to save himself and for those with tearjearking sensibilities, a terminally ill little girl. Sharlto Copley’s aptly named villain Kruger is fleshed out a bit too, as he seems to be some some sort of attack dog for Jodie Foster, dead set on keeping the riffraff out of her space Hamptons setup. Kruger seems to have inherited a comparable super suit (under closer inspection, Kruger may even be more machine than man) and cool gadgets to go along with it, but if I were placing bets on who is going to win the Copley v Damon brawl, I’d put my money on Jason Bourne every time. 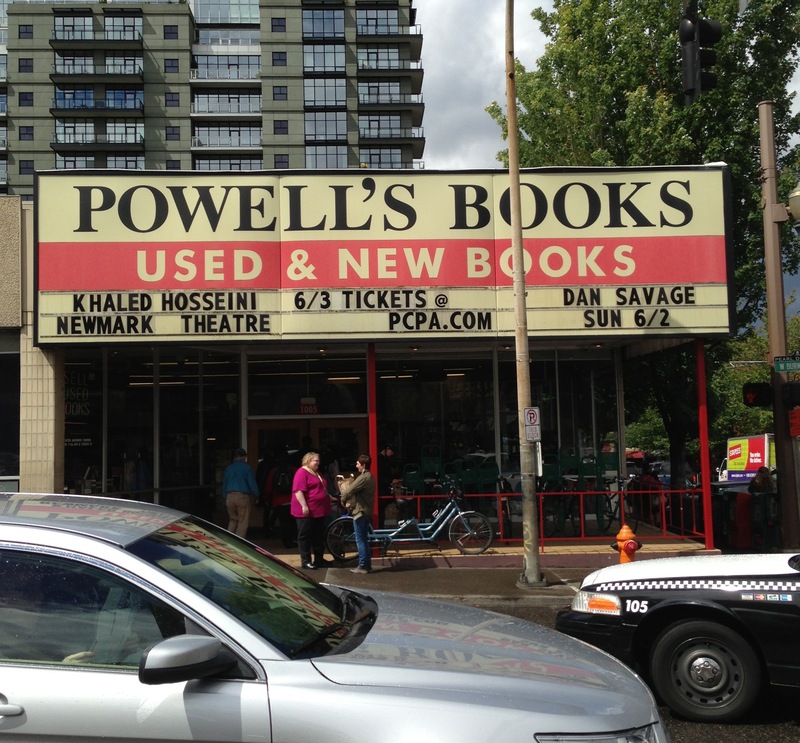 I finally managed to make it to the infamous Powell’s in Portland, known as the largest independent bookstore in the world, the mecca of books in the Pacific Northwest and by far one of the coolest bookstores I have visited. The Portland staple even has an entire floor dedicated to science fiction and fantasy (seen below after the jump). This is a welcome change from the standard Barnes & Noble template that relegates the two genres to sections usually shoved onto the second floor next to the bathrooms and freight elevator. An area, much like a low tide cave, that only has a small window of accessibility in a given day when enough introverted middle schoolers reading manga on the floor clear out and open passage through the narrow connecting aisle. Hasn’t the success of Game of Thrones at least bought speculative fiction some first floor real estate? Or at least placement that doesn’t require you to harass the one Barnes & Noble employee you can actually find (which is usually a barista that only returns blank stares) just to get a ballpark location?